KUALA LUMPUR (Oct 2): After its successful debut on Bursa Malaysia’s Leading Entrepreneur Accelerator Platform (LEAP) Market, Singapore-based cloud solutions provider Cloudaron Group Bhd will now focus on mergers and acquisitions (M&As) to support its organic growth. Cloudaron, the first ever LEAP-listed company, saw its shares — stock code 03001 (CLOUD) — open 36.36% or 4 sen higher to 15 sen from its issue price of 11 sen on its Bursa Malaysia debut, giving it a market capitalisation of RM116.29 million. Speaking to the press after its Bursa debut today, Cloudaron executive director Lum Piew said the company is now seeking to either build or acquire third party digital business platforms, which will double as a portfolio to attract more clients to use its services. “Not many digital network or cloud solutions providers run their own online business, which can provide a full experience on the ins and outs of digital business platforms on top of the services being provided,” Lum said. “By having a performing online business platform, it will show that we are qualified to bring the right solutions to our customers,” he added. The company has already acquired 10% stake in a Canadian real estate software-as-a-service (SaaS) company, which provides subscriber-based online platform for real estate agencies. 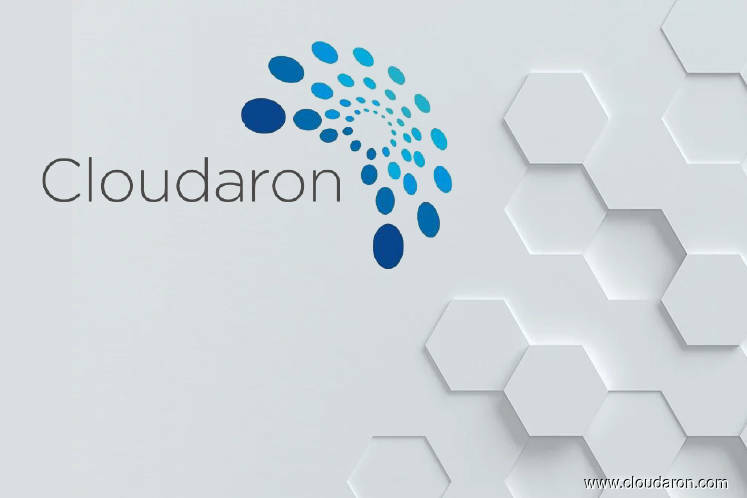 Cloudaron did not discount possibility of more fundraising via the LEAP market in the future to support its M&A plans, as it has already fully allocated, proceeds from its listing debut, mainly to open new representative offices in Indonesia and Philippines. “We have just opened our Indonesian office,” Lum said. Cloudaron provides integrated digital platform for workplaces and cloud infrastructure solutions, with customers in Singapore, Indonesia, Malaysia and Philippines. Its LEAP debut successfully raised RM5.5 million through the issuance 50 million new shares — representing 6.4% of its enlarged share capital — at 11 sen apiece to high net-worth investors.